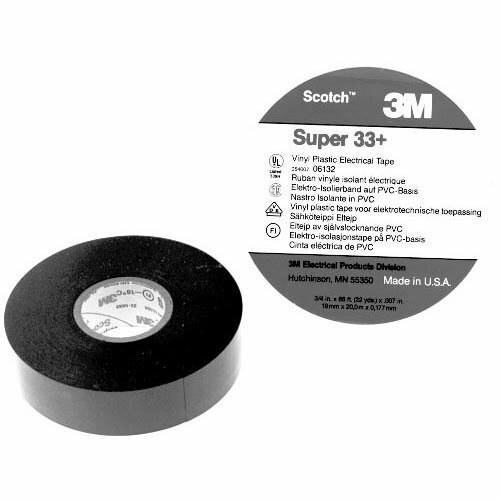 This All Points 85-1181 black Super 33+ electrical tape is ideal for general purpose use. It resists ultra-violet light, abrasion, alkalies, acids, and corrosion, and provides a moisture tight seal. It is also rated for use between 0 and 220 degrees Fahrenheit.